Wonder, what’s in your world? What makes you feel like you’re not just another girl. Sparkle in your eyes, effervescence personified. I would have to wonder why. Then you would know why I’m shy. Attention to detail, my heart is out of my mind. And I can’t get seem to get my words out right. And I can’t hear anything. Support my new store on Teachers Pay Teachers! Help support my free music! Wandering around in the moment. Exploring my mind all around. Or will I blow away in the breeze? Will you be here with me? When I’m not sure who I was? And how am I supposed to know what I want? How will I know if I’m wrong? Where will you go when I’m gone? How will I find my way back to you? Where will you go when I need you? Where will you go when you leave me? I’ve been planning the perfect gift to give you to leave you astounded. I can’t imagine a world where I say the right things I can be with you. But you’re my Valentine - in my mind. You’re my Valentine, in my mind. Its like someone thought this day up at a greeting card company. I may not want to buy the chocolates, but I’m curious about the action. But confidence had left my head. If I left or if I stayed. I felt lost and unwanted. I didn’t feel you felt the same way. And now I’m forever haunted. I wish I could have had my say. I’d been living so far away. If i think hard I see you stand here. I can’t replay the past but I see you and say I’m sorry. Help me welcome my new guitar to the mix! Watch the studio recording video here! Given any other chance there’s nothing I’d do. Forget about the lies because you know I’ll be true. Who fill my life with joy and makes me feel like I was someone. I’m all tied in knots for you. Forgive me for the times when I wasn’t thinking through. I was scared and lonely and thought I wasn’t good enough for you. Cause when I’m with you baby there’s nothing in this world that could scare me. 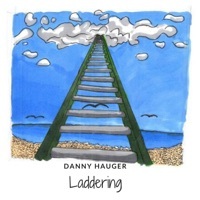 "Hawthorne" is the latest instrumental guitar recording by Danny Hauger in the "Cedar" instrumental series. It is the 6th track in the playlist and features a relaxing set of guitar progressions transitioning to and from major and minor chords. Music in this channel is written, recorded, and produced by Danny Hauger. 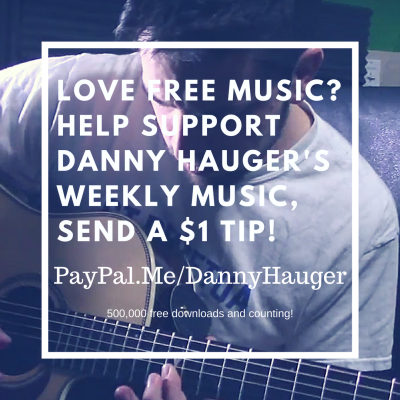 Support my free music by downloading Danny Hauger music on iTunes (http://apple.co/2Dkn3P4), Amazon (http://amzn.to/2p3lmCe), or streaming me on Spotify (https://binged.it/2BrYySs)! Help support my independent music and free weekly podcast downloads by sharing it with your friends. Your comments, likes, and shares help me keep this dream alive. I find my music is enjoyable for background, work, homework, and meditation too. I hope this adds enjoyment to your life and music collection!